TitanHQ, the Galway, Ireland-based provider of spam filtering, web filtering, and email archiving solutions, has announced the appointment of Rocco Donnino to its executive team. 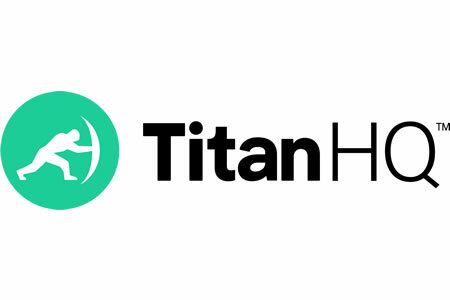 TitanHQ has been experiencing impressive growth over the past three years and has doubled its staff to meet demand and provide support for its customers. To accommodate growth in the United States, TitanHQ has recently opened a new office in New York and has expanded its offices in Florida, now taking up all three floors of the Mazars Building. In the past 12 months, TitanHQ has formed new strategic partnerships with industry heavyweights such as Microsoft, Comcast, Datto, Kaseya, BitDefender, and ViaSat and now provides email and web security services to more than 7,500 businesses around the world. To help continue its impressive growth trajectory, TitanHQ has now appointed Rocco Donnino as its Executive Vice President of Strategic Alliances – a new position created to help ensure the continued expansion of the company’s strategic partnerships. Rocco Donnino has been charged with growing the firm’s OEM partners and large MSP clients and ensuring TitanHQ remains the channel-centric IT security provider of choice for MSPs. Rocco Donnino has extensive experience, having worked in the email and web security industry for two decades. Donnino joined TitanHQ from AppRiver, where he was Executive Vice President of Corporate Development, and has previously worked in web security at Secure Computing, Shavlik, Microsoft, McAfee, and AVG. Rocco Donnino will head up TitanHQ’s new Northport, NY office and will report directly to CEO, Ronan Kavanagh.